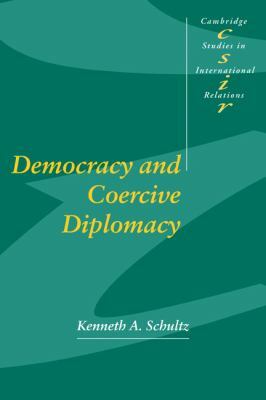 This text explores the effects of democratic politics on the use and success of coercive diplomacy. The author argues that open political competition between governments and opposition parties influences the decision to use threats in international crises.Schultz, Kenneth A. is the author of 'Democracy and Coercive Diplomacy', published 2001 under ISBN 9780521796699 and ISBN 0521796695. Loading marketplace prices 81 copies from $23.10 How does the rental process work?